Management Consultancy Recruitment - is the PSL effective ? Home » Insights and News » Is the Preferred Supplier List Effective for Management Consultancy Recruitment? Should management consultancy firms have preferred supplier lists? Many management consultancy firms run preferred supplier lists when recruiting talent. However, if talent is so short should they consider candidates who are put forward by a non-preferred recruitment agency, particularly in a situation where a preferred supplier is unable to fill the role. Research carried out by TheJobPost has called into question the effectiveness of preferred supplier lists (PSLs), a view already held by many in executive recruitment firms. The research sought the views of 158 HR and resourcing professionals who together made thousands of hires each year. The results of the research supported the view that PSLs potentially benefit no one and can even increase the cost of recruitment. 64% of respondents worked for companies who run PSLs, and 36% from companies who did not. However these criteria are presumably just as relevant for organisations that have chosen not to run a preferred supplier list and simply common sense. High on the list of challenges sighted by HR and recruitment professionals using PSLs are; managing agencies, the number of agencies on the list (some have up to 50!) and an inability to assess the performance of agencies and identify those performing best. According to the research 1 in 2 respondents were unable to fill a specific role via a preferred supplier, while at the same time 64% have rejected a suitable candidate from a non-preferred agency. This seems illogical when 77% of respondents in the survey identified the quality of the hire as a more important measure of success than cost or time taken to hire. Despite the fact that Hiring Managers continue to recruit from non-approved management consultancy agencies and we are currently in an environment of talent shortages, why do organisations continue to run preferred supplier lists when it is clear from this research that HR are rejecting quality candidates because the recruitment agency putting them forward is not on the preferred supplier list? One viewpoint is that PSLs are often more about controlling spurious ‘risk’ and adhering to process. Furthermore it is often an opportunity for companies to require recruitment agencies to sign up to draconian fees and terms of business, which of course is a disincentive for the recruitment agencies and therefore counterproductive. Companies will often use PSLs to impose order on chaos – it is not practical to fully brief every agency about the role and company for every job. It may also be perceived as a filter to exclude unprofessional agencies, but PSLs will often include unprofessional agencies precisely because they are prepared to discount fees. So in summary, what is the future for using a PSL for management consultancy recruitment? In the current climate of talent shortage management consultancy firms will be forced to consider the wisdom of rigid adherence to PSLs. Organisations that reject the perfect candidate from a non-preferred supplier are costing their company money. Those companies continuing to run a preferred supplier list will need to increase and improve their use of technology to manage the process. Speculative recruitment agencies should be prepared to accept PSL fee terms as a one off to create a ‘level playing field’. 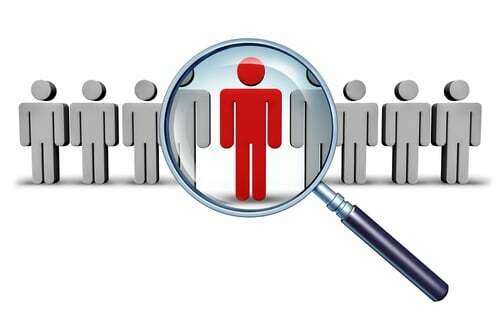 The use of specialist executive recruitment consultants to assist with niche and specialist roles will increase. Hiring managers will continue to recruit from non-approved agencies as their first priority is to secure top talent.